Now, you know I'm not ALWAYS sold on "meat-free" food. And by that I mean that I don't always go vegan calmly. So, when I headed to Veggie Grill at Sunset 5, I was half expecting to eat and then go eat real food elsewhere. But then I met co-owner, Kevin Boylan, who insisted I try like, well, the entire menu. He explained that in an economy, where most restaurants can barely stay afloat, they've been lucky enough to grow. He also explained that, until just now, they didn't offer any cheese items because they couldn't find a cheese substitute that was good enough. Well, now they have "cheese" for nachos, cheeseburgers and such. The restaurant itself is a counter order spot, but it's pleasant in a sort of more organic Pink Berry kind of way. And actually, the restaurant does have a unique angle: vegan comfort food. Yup. My favorite item of all is probably the blackened chicken sandwich topped with guacamole and such, which tasted–well–like blackened chicken (somewhat like the above southern fried chicken sandwich). 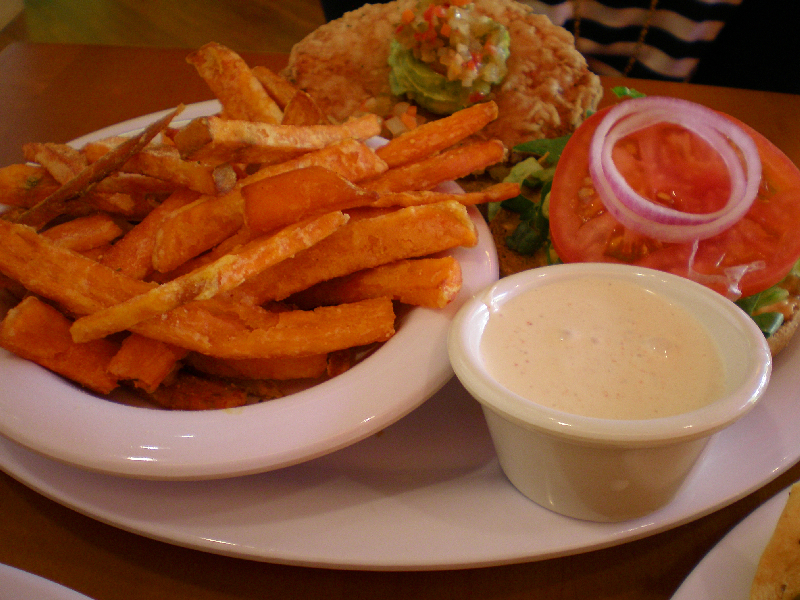 Of course, the sweet potato fries are just regular sweet potato fries, so what could be bad about that? 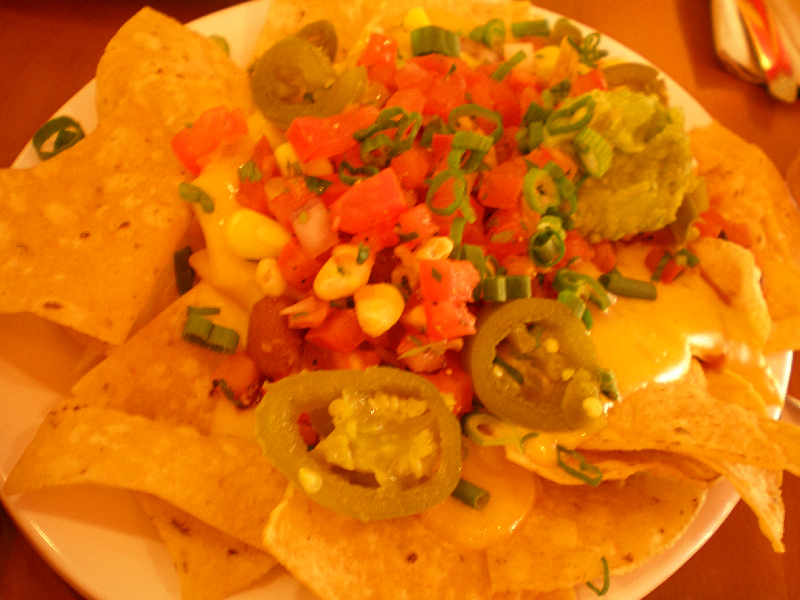 As a lactard, of course I'm also into the nachos. The fake cheese tastes a lot like movie theater "cheez" (or so I recall) and everything is good with jalapenos, chili and guacamole. 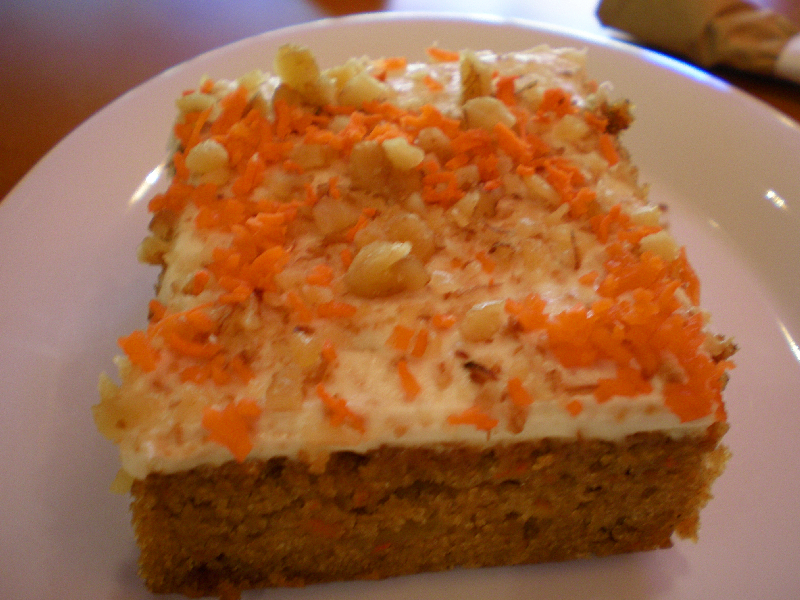 And the brownie sized carrot cake? BRING. IT. ON. Yeah. I know. With all my bad talk in the past about vegan chow, I'm a bit of a hypo (hypoCRITE, I mean). But at least after chowing down on vegan food, I feel like a little less of a hippo. there are many kinds of foods in restaurant that everyone graving on..